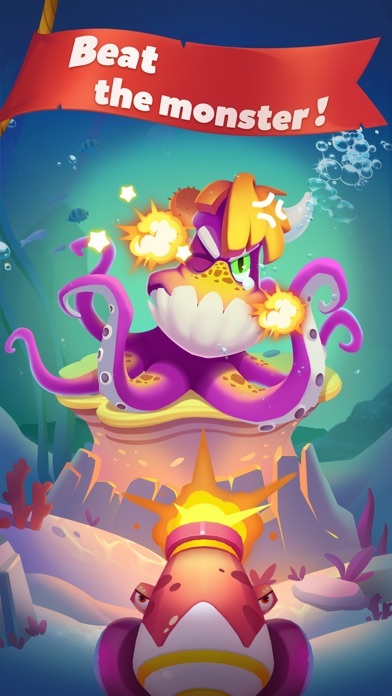 Discussion in 'iPhone and iPad Games' started by Aladin Fun, Oct 16, 2018. 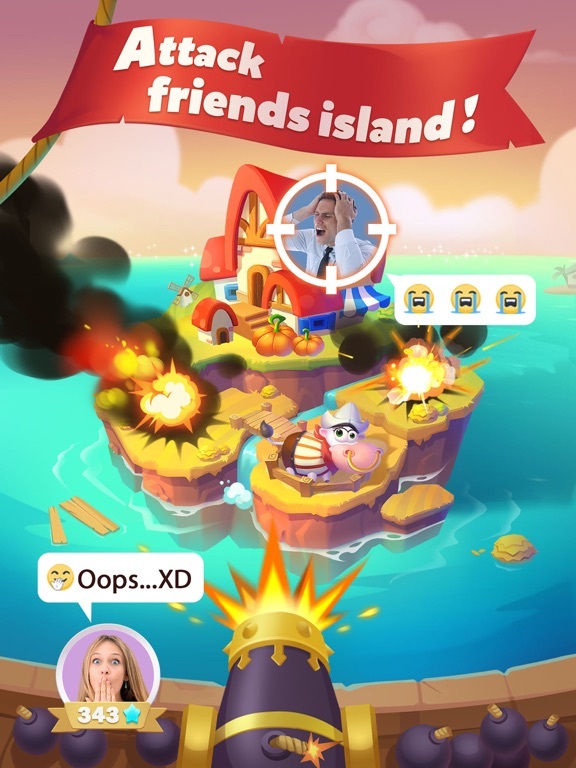 Smash Island is developed by Aladin Interactive, which has more than 7 years’ game develop experience. We’ve already have more than 3 successful masterpieces utill now, such as Texas Poker Pro、9K Poker Pro、Piggy Boom and so on. As a game developer, we aim at offer satisfying experience to all users around the world. For every game ,We hope that one day when our players think of our game, the first impression that ever comes to their mind is ‘They make real games’. It’s a social game with easy but simulate gameplay. Spin the wheel get coins to build your islands.Billions of gold are free for you to BUILD amazing, diversified, EPIC 3D islands. But be careful, your gain may be damaged or destroyed by other masters! PILLAGE your enemies' booty, take what you can, give nothing back! In Smash Island, you won’t be worried about resource shortage. 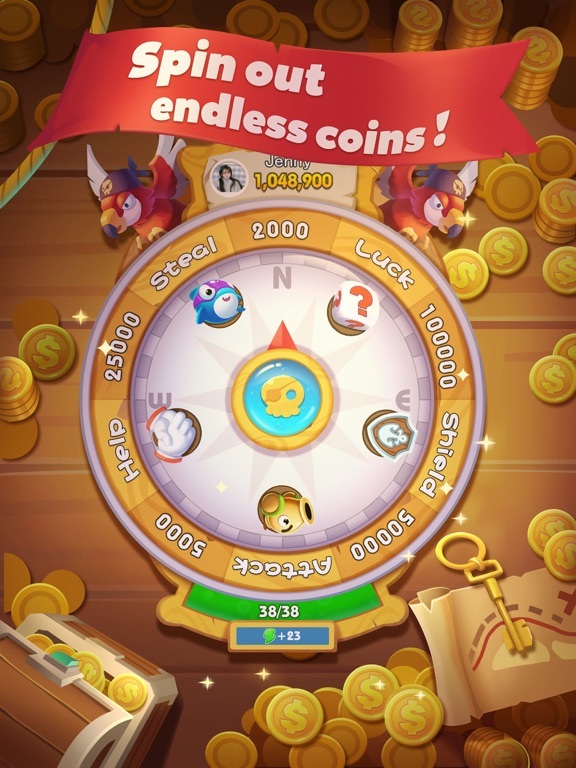 Players can get many free items, such as spins、coins、birds、torpedoes from main functions of this game. Moreover, you can exchange items with your game friends. More friends, more fun! Before establishing project, we aim at developing a game with natural social scene, which could help players connect with your friends in game, feel relex and happy in our game. In addition, this game should have some randomness .So, wheel and buildings came into our mind. 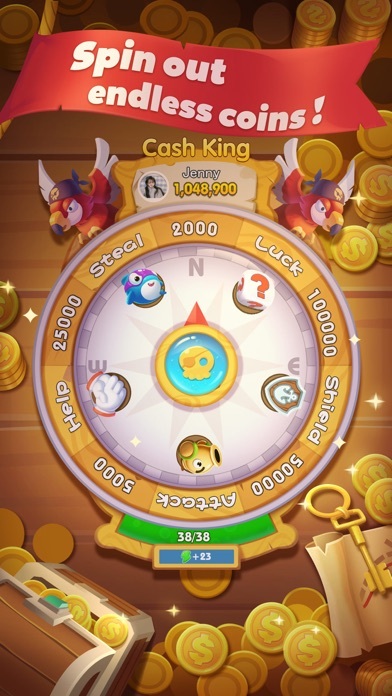 On the wheel, not only have coins, which is used for build, but also have Attack、Steal、Luck、and Assist. These specific parts help create natural social scene. For example, when spin and get attack, you can choose to attack your game friend and demage his building. He may revenge you after your attack, so here get the interactive scene we provide. Steal and Assist also have the satisfactory and wonderful result. 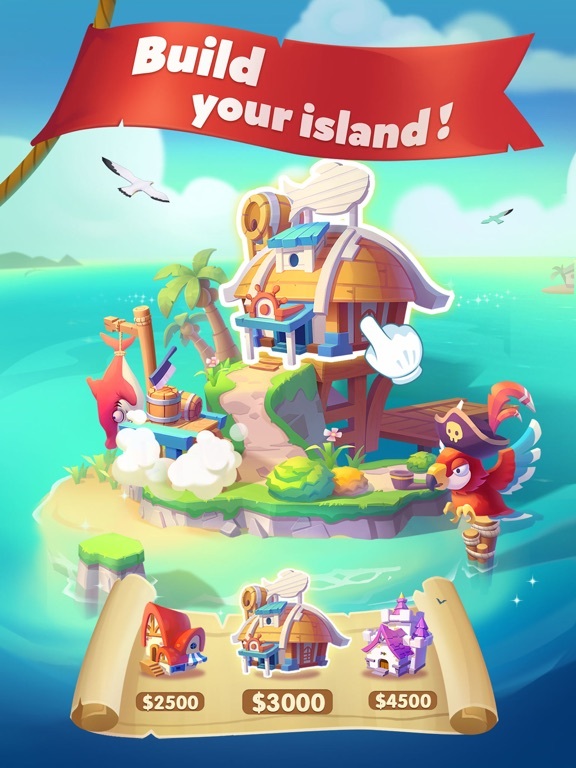 After close cooperation and tough struggle with other players, you may gain many exquisite islands and unique guardian cards.We believe at that moment, our games will not only in players’ devices but also in their memories. 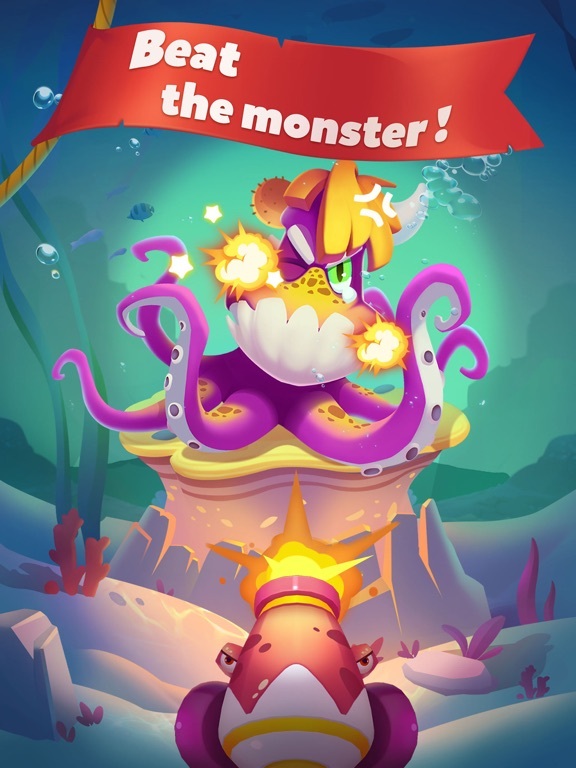 Smash Island is already released in App Store and Google Play. We believe that Smash Island destined to be a successful worldwide masterwork. So please help us! If you’re interested in Smash Island, don’t hesitate to connect us! 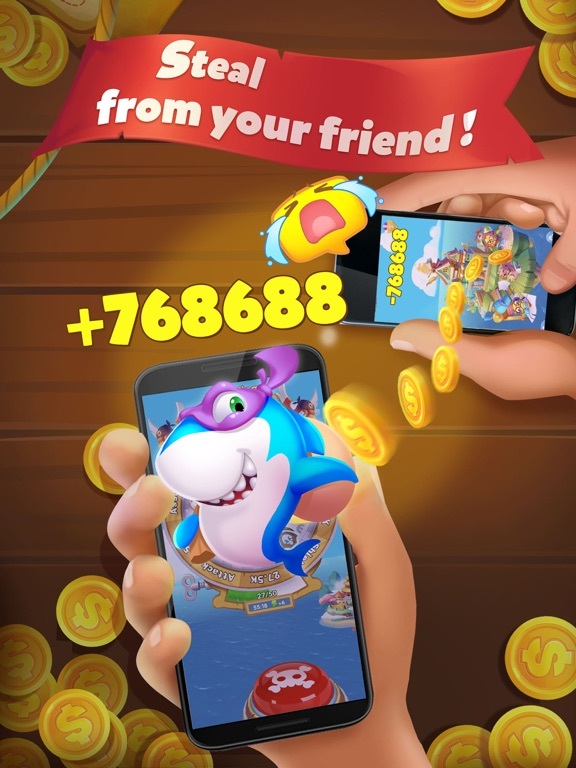 This game looks like a clone of "Pirate Kings" by Jelly Button Games, even down to the pirate theme. Hello CoolDukeNukem，thank you for your reply! 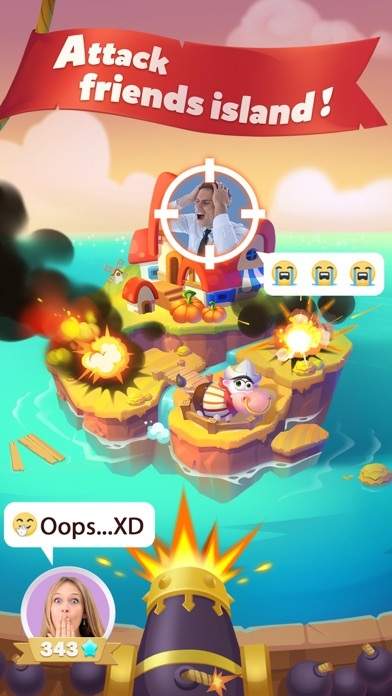 "Pirate Kings" you mentioned is a perfect game by Jelly Button Games, Which we've learned a lot from. 4、Social System：You can play the game with not only your Facebook friends, but also game friend and guild friend, which will not disturb your real friendship. 5、Guild：This part gather the crowd having same interst and topic with you. In guild，you can get contribution or join competition with guild members，also share the rewards! 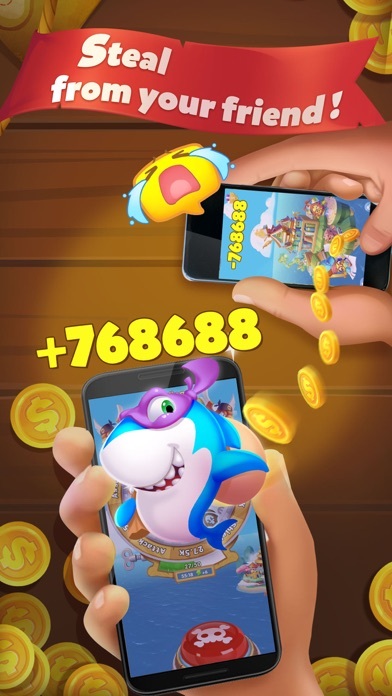 6、Many kinds of original activities: Such as puzzles、pet、slingshot、recuitment、building tournament building master carnival... These are all our unique gameplay that you can not find in other games. Please try to download and play our game, guaranteed you will addicted to it! Any advise, connect us immediately! Thank you very and have a nice day! 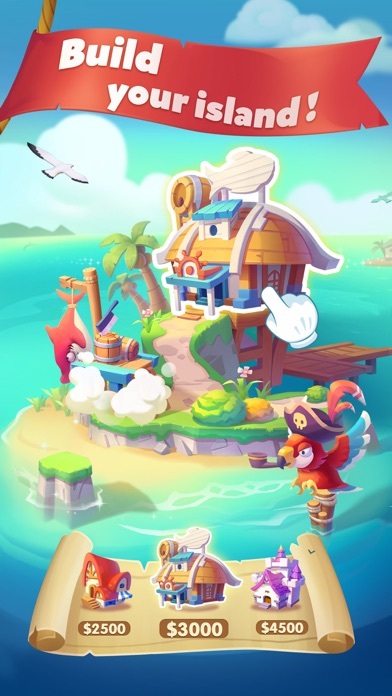 This game looks far more better than 'Pirate Kings'. I will try!